When Amazon announced its Fire TV Stick a couple months ago, many tech watchers (myself included) saw it as a direct assault on Google’s Chromecast. The comparison is certainly inviting. Both streaming media devices fit in the palm of your hand and plug directly into your TV’s HDMI socket. The pricing is nearly the same as well, at $39 for the Fire TV Stick and $35 for Chromecast. But beyond those skin-deep similarities, Chromecast and the Fire TV Stick couldn’t be more different. As I've learned from reviewing the Fire TV Stick and using a Chromecast since its July 2013 launch, the two devices take different approaches to discovering and viewing video, and they have opposing ideas about what you should be watching in the first place. You could choose one or the other, but owning both isn't a crazy idea. Unlike any other media streamer, Chromecast doesn’t ship with a remote control. Instead, it expects you to launch video and music apps on your phone, tablet, or desktop Chrome browser and then tap a little “Cast” button to launch that content on the television. You can also mirror the screen from certain Android devices and from the Chrome browser with just a couple taps, though this will sap your device's battery much more quickly. 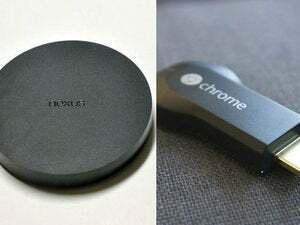 Chromecast turns existing mobile apps into the remote control. The idea is to get the traditional TV interface out of the way so you can control everything through the mobile device that’s already in your pocket or on your lap. You don’t have to download another set of apps specifically for the big screen, and you don’t even have turn on the TV. 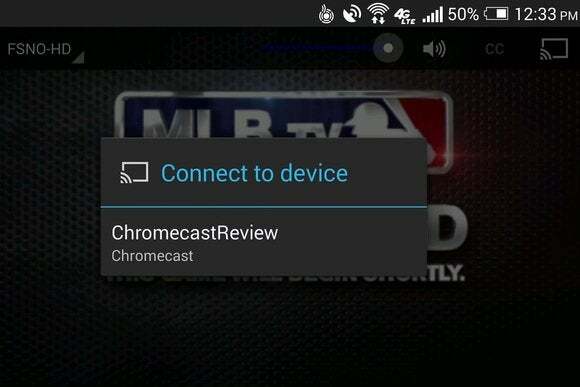 Chromecast does this automatically when you start casting, and then switches to the correct input. On Android devices, you can can also adjust the volume, as long as it's no higher than your TV's current level. It’s worth noting that the Fire TV stick offers some Chromecast-like beaming from phones and tablets, but it works only with Netflix, YouTube, and Spotify for now. It’s also not available through desktop Web browsers, it won’t automatically turn on your TV, and it doesn’t offer volume control. Casting to the Fire TV Stick is a backup option, not the central idea. No two streaming media devices have exactly the same selection of apps, but Chromecast and the Fire TV Stick have one major difference: Chromecast lets you stream videos and music from Google Play, but not from Amazon Prime. The opposite is true with the Fire TV Stick, which is focused mainly toward streaming Prime content and doesn’t include any of Google’s media offerings. Amazon's Fire TV Stick interface is all about Prime. As I mentioned above, the Fire TV Stick pushes you to watch more Amazon videos than anything else by putting them front-and-center in the interface. Chromecast is inherently more ambivalent, since there’s no interface to begin with. In the future, it seems more likely that Amazon’s videos will come to Google’s hardware than vice versa—especially with the recent launch of an official Amazon video viewer for Android phones. But for now, picking your device means pledging allegiance to one video service over another. There are some other key app differences to note as well: Amazon has apps for Spotify, NFL Now, Vimeo, A&E, and PBS, none of which are available on Google's stick. Chromecast has apps for Songza, Comedy Central, Nickelodeon, Vudu, and HBO Go (at least until it lands on Amazon's Stick in the near future). You can view the full Chromecast app library here. Amazon's library is a bit harder to parse from the Web, as there's no way to filter out games, but you can peruse the full Fire TV catalog here . Originally, I thought I'd compare these two devices and hand down a firm recommendation for one or the other. But given the differences in apps and viewing experience, I could easily see myself switching back and forth. 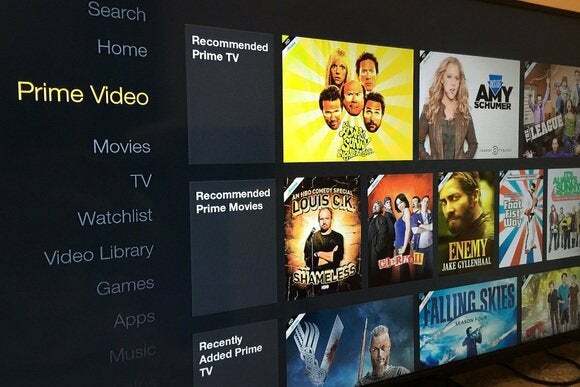 If I wanted to watch something from Amazon Prime, I'd turn on the Fire TV Stick and pick one of the recommended shows—probably straight from the home screen. But if I was just lounging around with my phone and wanted to throw something on, I'd just pick an app, hit the cast button and get back to what I was doing. In a perfect world, there'd be one device that handled everything. While Google's Nexus Player with Android TV aims to do just that, it's more expensive than a Fire TV Stick and Chromecast combined, and it's not where it needs to be just yet. We in the tech world love to pit companies against one another, but with cheap streaming dongles like the Fire TV Stick and Chromecast, the living room is one place where they can live in harmony. 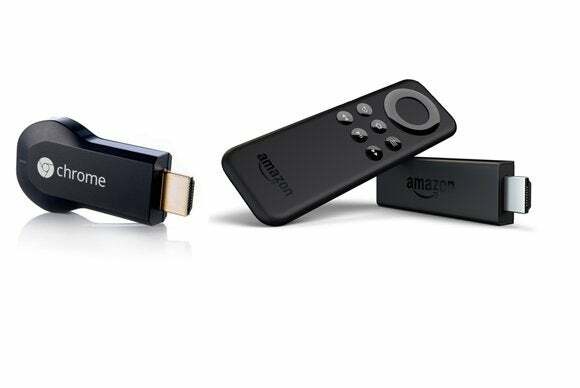 This story, "Amazon Fire TV Stick or Google Chromecast: Why not both?" was originally published by TechHive.